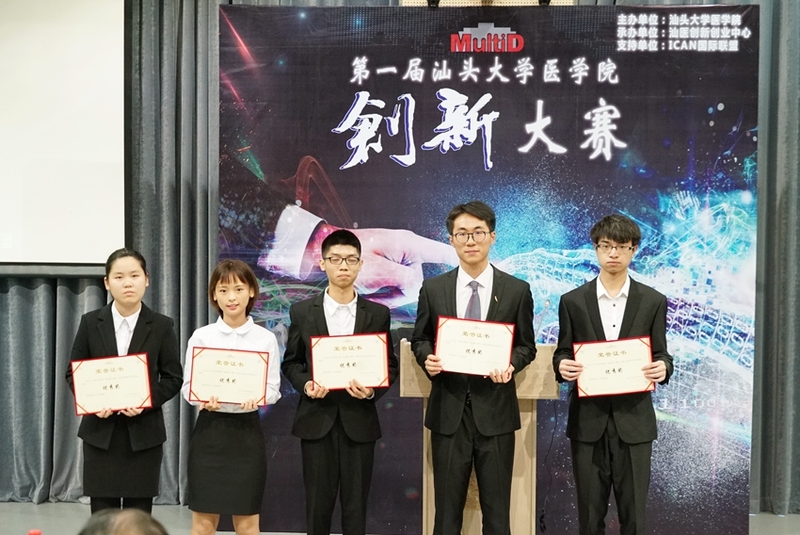 The newly launched SUMC Multi-D Innovation Competition aimed at inspiring innovation and creativity among students wrapped up on May 19. After more than two months of brainstorming, preparation, rehearsal and preliminary contest, 11 teams of students entered the final round in which they presented their innovative ideas to a panel of judges. The panelists noted how impressive the entries were. The First Prize was awarded to Guo Yifang’s team for their High Speed Dental Turbine Handpiece. 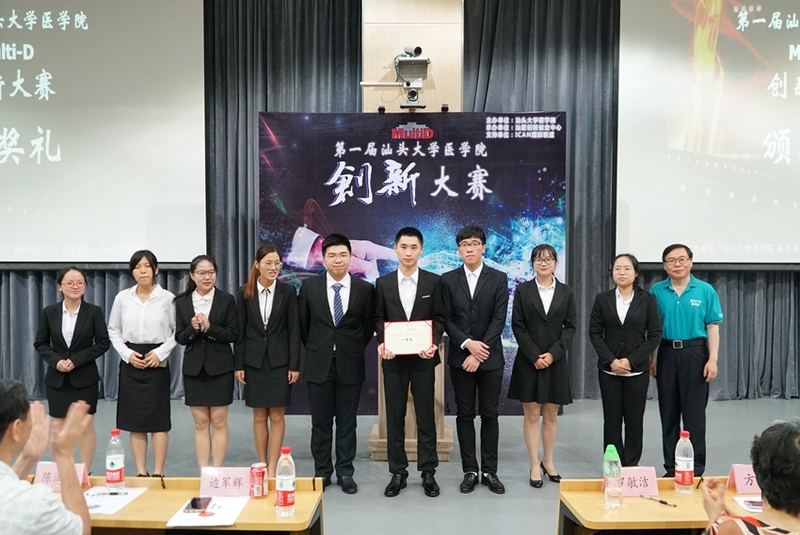 The Second Prizes went to Ye Wanbao, Chen Shandan and Lai Chunxin together with their teammates for the innovative ideas of Occlusal Dynamics-Based Full Mouth Dental Cleanser, New Safety Syringe, and a Prioritized Medical Quiz APP respectively. 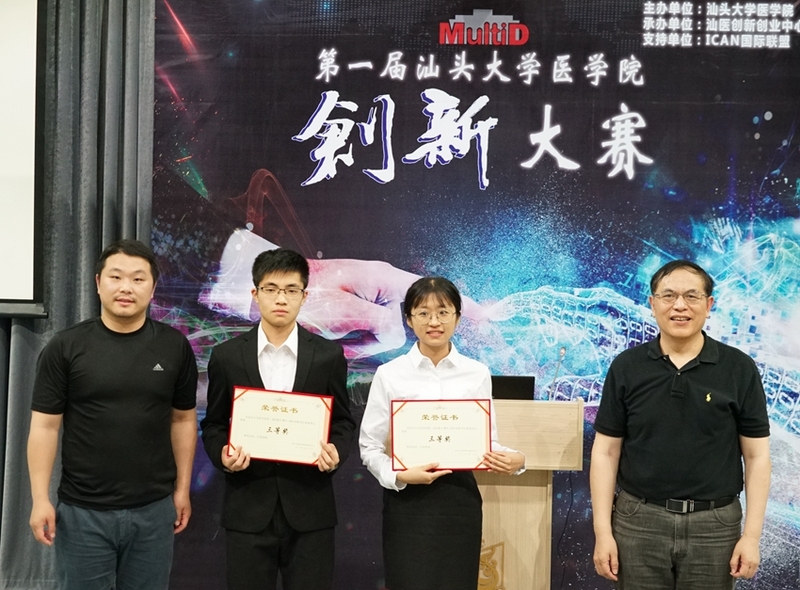 The two teams led by Wu Ruimiao and Wu Weimin who presented on the “Fu Zu Xing” Project and “No Pain Needle” Project respectively received the third prizes. 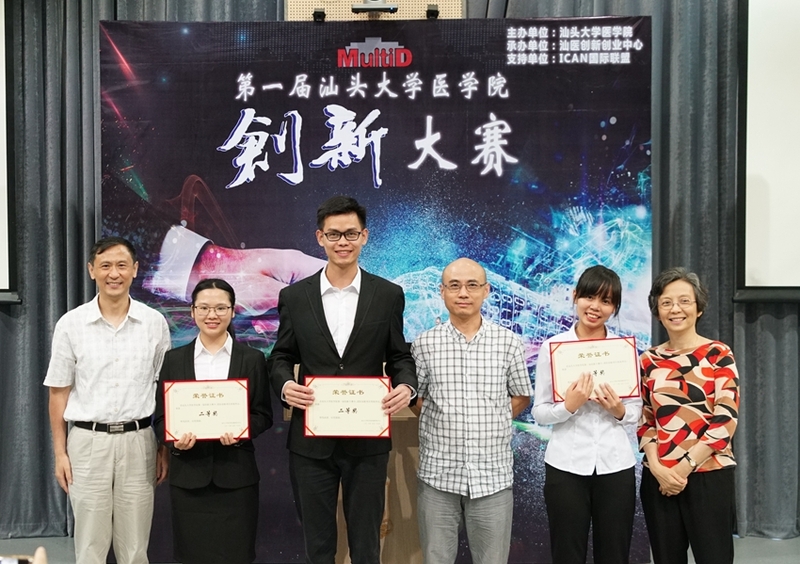 The Merit Award winners included: Huang Runkai – Nested Syringe Free of Needlestick Injuries, Gan Lixi – Lianan Infusion Aid, NieYirou - QR Code-Based Hospital Navigation System, and Qi Xiaoyi - Venous Thrombus Testing Device. SUMC Executive Dean Junhui Bian and Dr Frieda Law presented the awards to the winners. As the organizer, the Innovation and Entrepreneurship Center at SUMC is committed to popularizing innovation and disseminating latest trends in medicine through a wide array of theoretical courses and practical activities. All these will prepare our medical students for their future career.